If you're looking to improve your fitness level, lose fat, or get in prime shape for your favorite winter activities, we have a great personal trainer option available! For those interested in getting in shape with others, the gym offers group personal training sessions, each week, for just $30 per session! Group training is open to the public - you don't need to be a member to participate. Tim is a '97 graduate of Colorado State University and he's spent almost 2 decades learning about the most efficient and cutting-edge fitness techniques. From endurance to general health, Tim will teach you the workouts you need to achieve your goal in the most time efficient manner. His training techniques are so efficient that he placed first in the Eddyline Brewery Running Series here in Crested Butte! Tim has extensively studied a wide variety of different ways to train. Treating everyone as an individual, members will get a specific blueprint tailored to their goals and needs. Using science-based training techniques he can help members get the best results with the least amount of work. We can put you in touch directly with Tim if you would like to set up a free consultation, or inquire on the cost for training sessions. Tim's offering a discount right now during the Fall shoulder season! 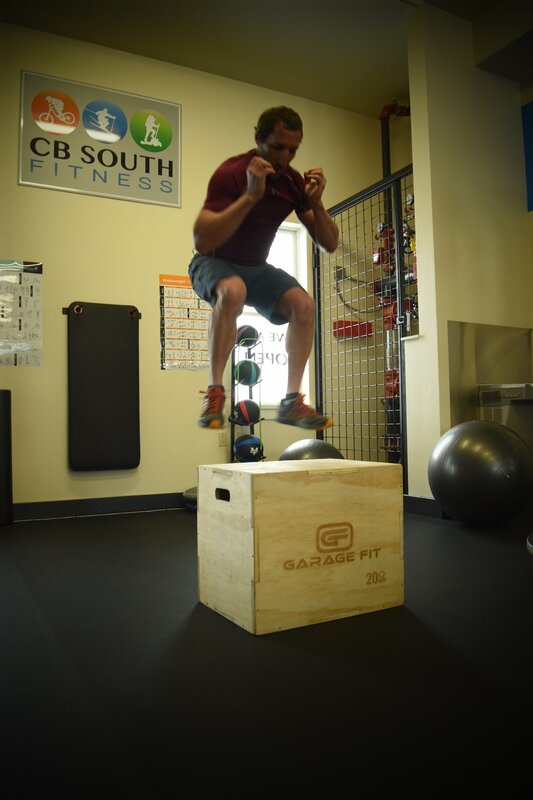 Please email playhard@cbsouthfitness.com or call 970-765-7009 for his contact info. There are also business cards at the gym.